Mass bodybuilding exercises are not like a ‘bread and butter’ of muscle building. It requires a lot of dedication, proper food intake, right training and deep squats. Bodybuilding workouts are performed to get best muscles mass and to built-up more strength in the body. With accurate steadiness of mass-building exercises & boosting techniques, one can achieve sufficient volume of strength & muscular size.With a little stress on the body, you can get a potential to increase muscles and body strength in a most easy ways. Here is the detailed and framed information on mass productive workout exercises like Barbell squat, Barbell shoulder press, Barbell flat bench press, Barbell deadlift, and Barbell stiff-legged deadlift. 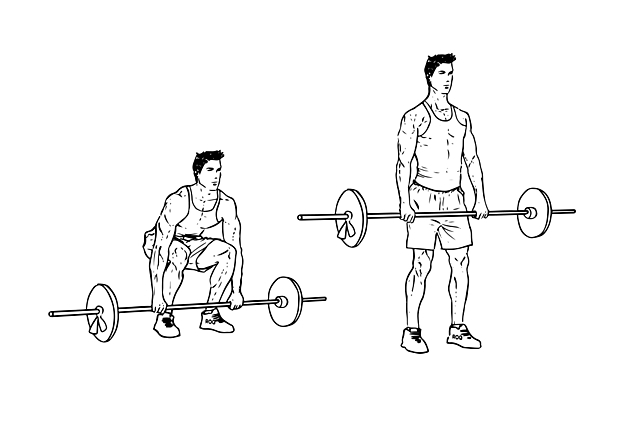 Barbell full squat increases leg strength. This exercise works on quadriceps, calves, glutes and hamstrings. Its compound mechanics is very much easy and accessible for the beginners. 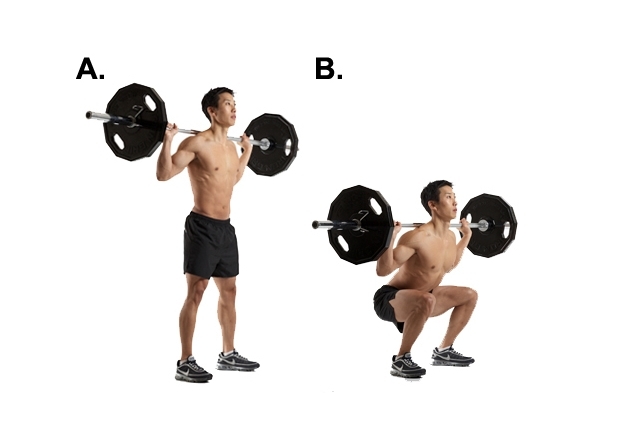 Because of high bar position and foot position, Barbell squat lets your body get a desirable range of motion and trunk for maintaining the vertical position as compared to other squats. This workout requires a perfect position and technique to perform. It is one of the best exercises in which you can have complete control on your muscles. This workout works on shoulders. Sit on a bench and form a squat rack position. Pick a barbell with forward facing palm and correct grip, lift the barbell bar overhead and lock arms. This exercise can even be performed while standing. It also helps in developing other muscles like chest and triceps. One of the best exercises for intermediate performer. You can increase the core stability strength through this form. 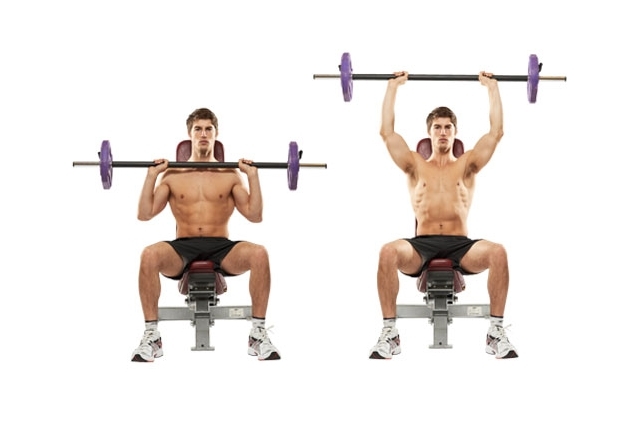 While performing Barbell shoulder press in a standing position, you need to part ways of feet shoulder. 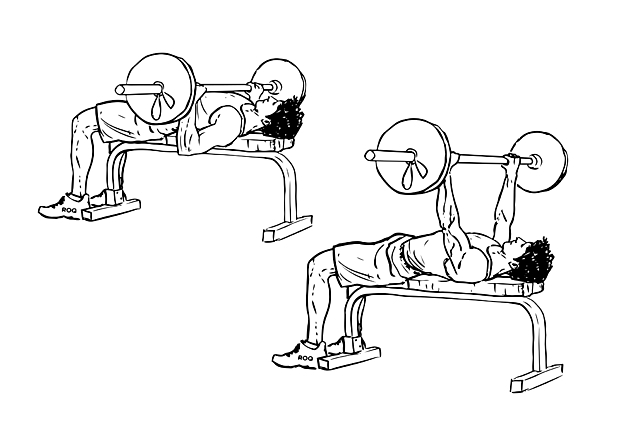 Barbell flat bench press itself means lying on a flat bench surface and exercising with a barbell. Through this you can work on your main muscle chest along with shoulders and triceps. Its compound mechanism is specially designed for beginners. In this exercise, a person have to lie down on a flat surface and have to maintain 90 degrees angle between forearms and upper arms. Now, maintaining the position, the person have to lift the barbell bar; hold it straight over the arms locked. Breathe and bring down the bar until it touches middle-chest. Squeeze and contract your arms in this position and repeat the procedure slowly. This intermediate levelled workout form specially works on your hamstrings, lower back, claves and glutes. Barbell deadlift increases the core body strength as well as solidity. It is also one of the best workout exercises for having fat loss and built-up muscles. In this workout, bend your hips & knees; grab the barbell bar with shoulder grip; lower the back; stand-up & squeeze your glutes as the hips goes forward. Make sure to keep your head inline for avoiding overarching of the neck. The different variations in this barbell deadlift workout are sumo deadlift, trap-bar deadlift and single leg Romanian barbell deadlift. 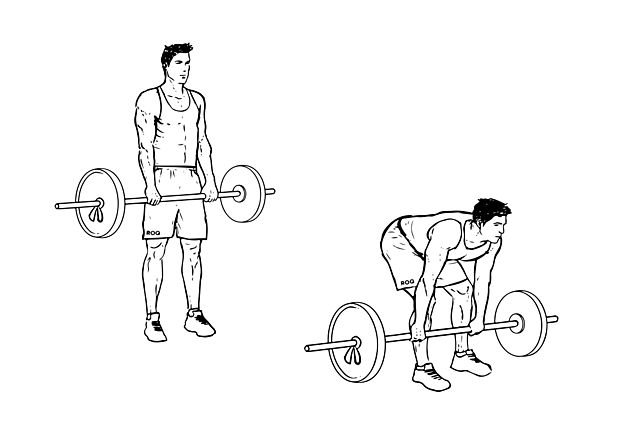 Barbell stiff-legged deadlift is also known as Romanian deadlift. Same as barbell deadlift, this also works on lower back, hamstrings and glutes. This is a best exercise for strengthening the growth of back and hamstrings. Performing barbell stiff-legged deadlifting in a proper way is a must. Due to the rounding and un-rounding movements of muscles, the spinal erecter muscles are statically worked. This stiff-legged technique comes from anatomy and biomechanics. Here, you have to simply bend the hips, hold the barbell bar, and go upwards making legs stiffed and stretched in position. Stretching knee joint and hip joint is the main movement in stiff-legged deadlifting. These barbell mass body-building techniques strengthens and works on main parts of the body giving a stiff and focused momentum to the body structure. Get the most benefits out from these exercises and a perfect body form.